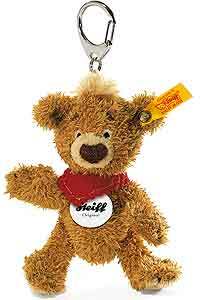 KNOPF Teddy bear keyring is made in golden brown soft plush and wears a red neckerchief. 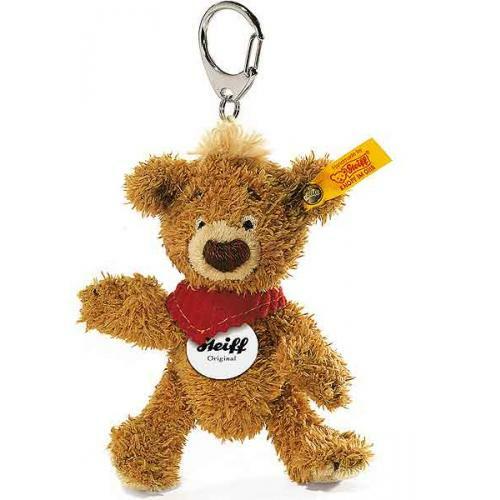 He also carries the famous Steiff trademark Button in Ear and yellow tag. Machine washable at 30°C in a laundry bag/net.